Majestic buildings boast imposing, ornate facades, even on the side streets. 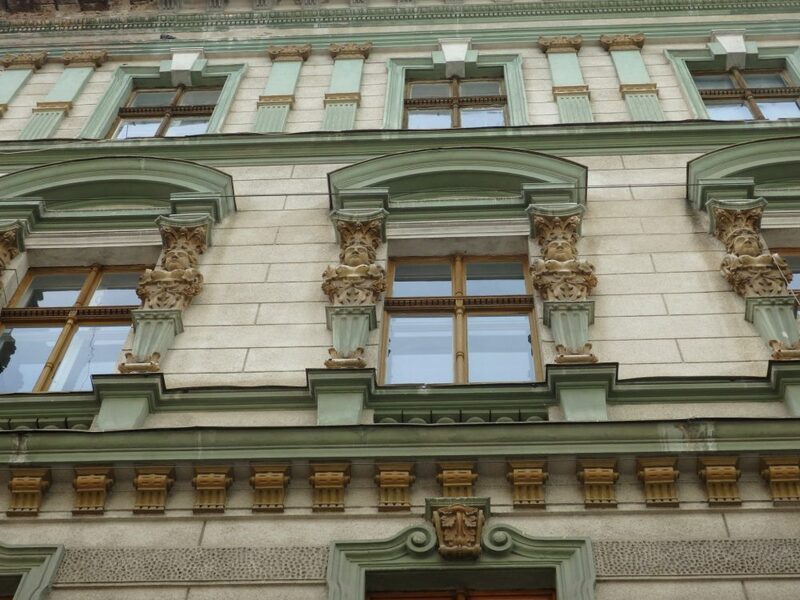 Edged with statues, often figurative, each row of windows differs from those above and below, yet they all display detailed workmanship. Grand doorways framed with artwork, topped with glass, span several centuries of architectural styles. But the paint is flaking away. Underneath, exposed to the elements, the stucco layers crumble away as well, revealing rough brickwork. The buildings have an air of despair, of giving up the fight. 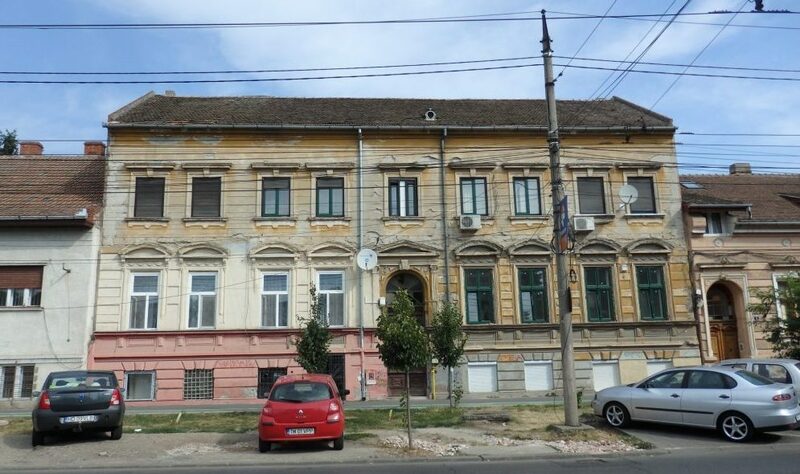 a decaying building in Timisoara. Looking at some of the figures on the facade, we figured it might have been a hospital once. This is Timişoara, Romania. 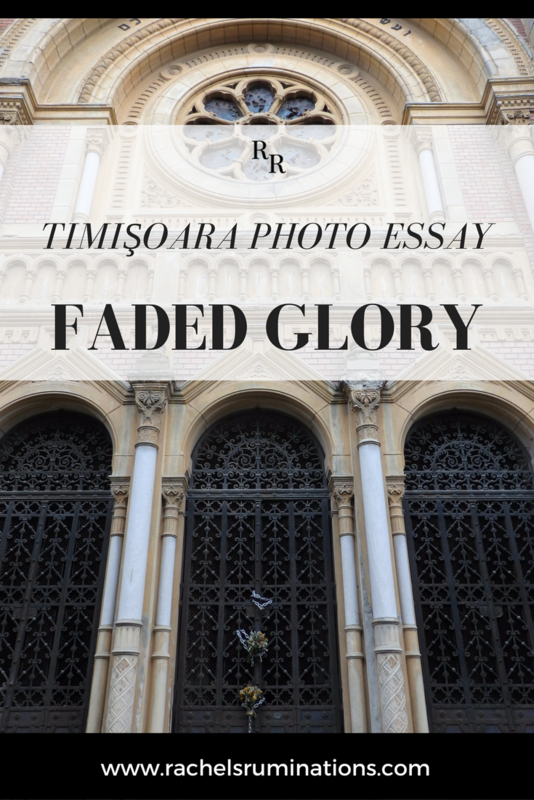 “Faded glory” was the phrase that kept coming to mind as my husband and I wandered the streets of this fascinating city. 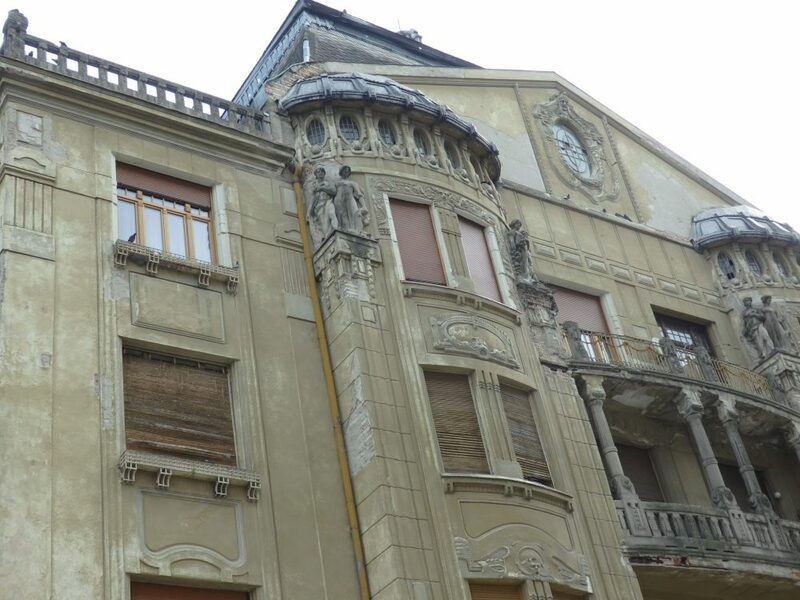 Slated to become the European Capital of Culture in 2021, Timişoara shows evidence of an effort to restore some of the buildings, but the city has a lot of work to do before 2021. 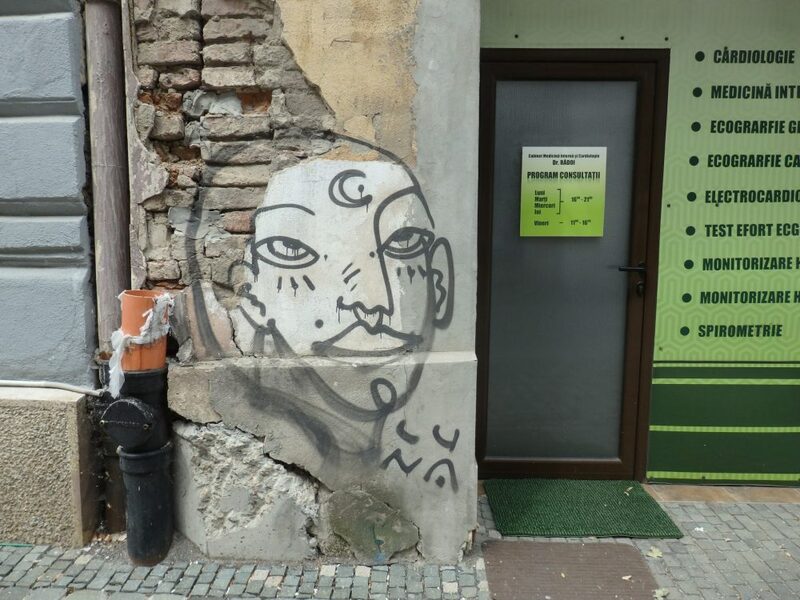 I’ve put together this Timişoara photo essay to give you an impression. It is certainly an impressive city. Just the sheer quantity of elegant buildings, if they were properly restored, would easily rival Prague. Look at the contrast between the unrestored building on the left and the restored one on the right. We stayed in a hotel somewhat outside the center of the city, so we walked through some residential neighborhoods, not geared to tourism. A random example of the kind of building you’ll find on side streets in Timişoara, the small apartment building shown below is less ornate than some of the larger ones in the center of the city, but suffers from the same problem. Notice that, as we saw on many of these buildings, the window frames are new. The few that we were able to peek into showed that the maintenance is often much better on the inside than on the outside. A random apartment building we passed when we were visiting Timişoara. The centerpiece of Timişoara is the Orthodox Metropolitan Cathedral. Everywhere we traveled in Romania, the churches were very well maintained, and this one was no exception. 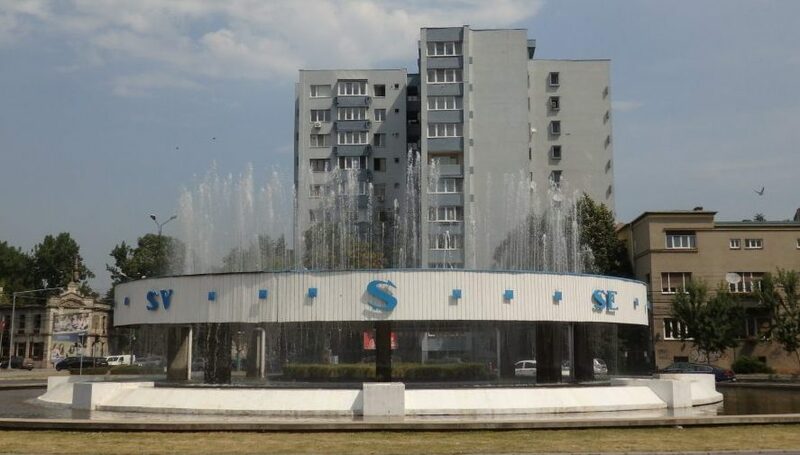 Built in 1936-1941, the style is called in Neo-Moldavian, according to Wikipedia. 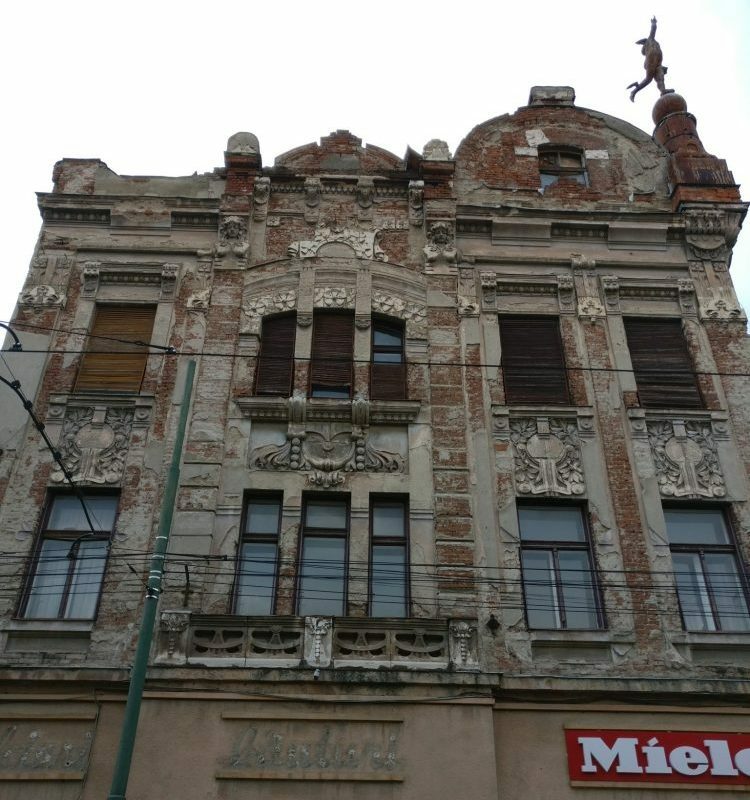 The rich detail is still intact on the building shown below – it stands on one of the central pedestrian boulevards of Timişoara. Look down the wall below the statues, though, and below the balcony, and you can see the decay. 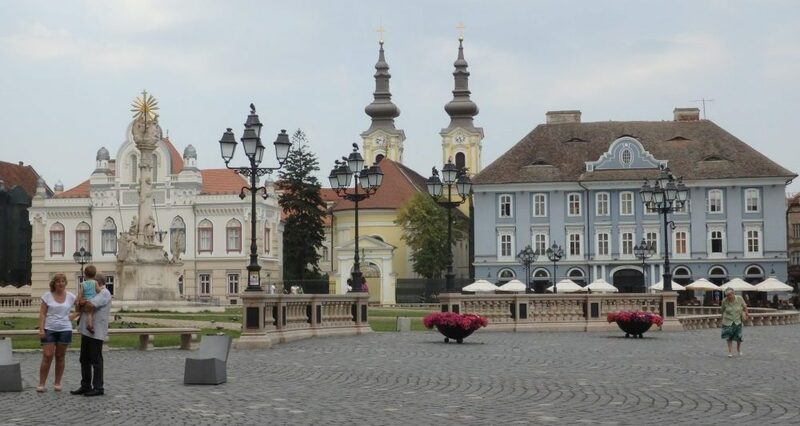 On Unirii Square, most of the buildings have been lovingly restored, and the effect is breathtaking. This is the Serbian Orthodox Vicarage, dating to the 1700s. Below is another photo on Unirii Square, with the Serbian Orthodox Vicarage on the left. 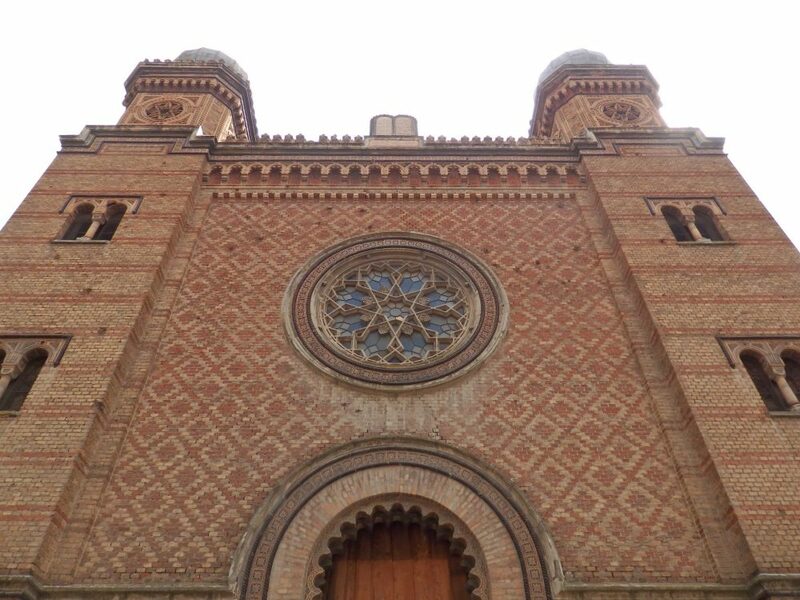 The Moorish Synagogue is in good shape and used today for events. Dating from 1863-65, it is “a historicist eclectic style typical for the second half of the nineteenth century, using ornaments of Moorish architecture…” according to the informational sign outside. 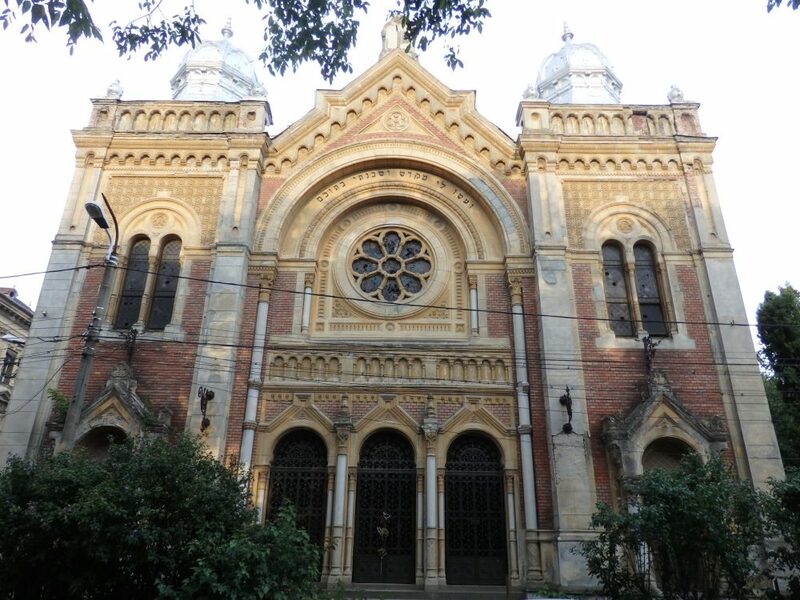 The magnificent synagogue shown below, on the other hand, is abandoned and crumbling. Called the Fabric New Synagogue (Fabric is the name of the neighborhood. ), it is in Neo-Moorish style, and was built at the turn of the 20th century. My husband and I voted this the ugliest fountain ever. It’s in the middle of a traffic circle just outside the old center of Timişoara. Here is a close-up view of what’s underneath: rough bricks, not intended as exterior bricks. 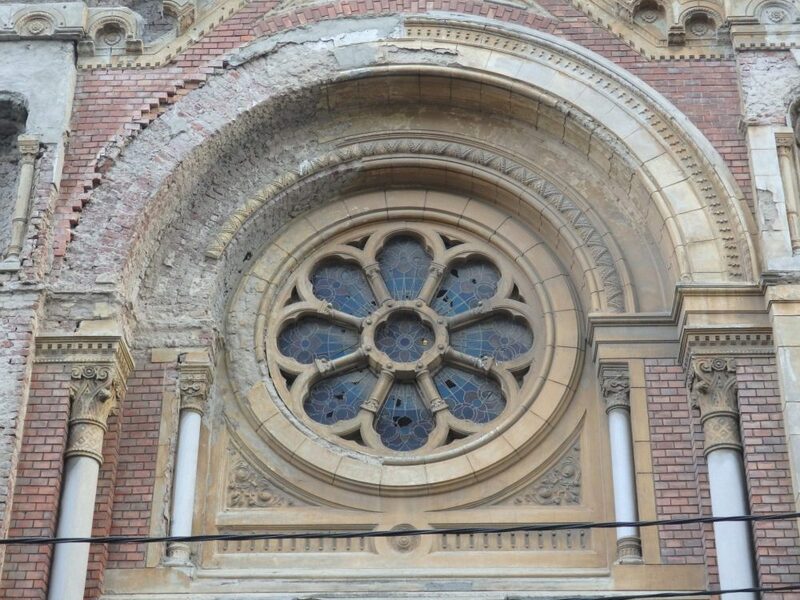 We were astounded at the sheer number of buildings with damage like this. To end this photo essay on a positive note, look at this beautiful doorway. 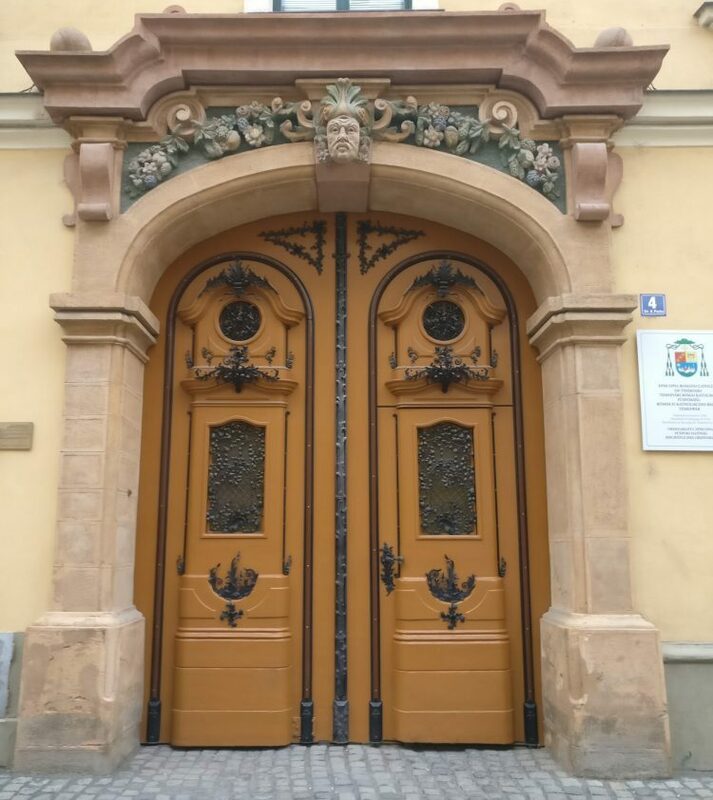 It’s the entrance to the administrative offices of the Roman Catholic community in Timoşoara. 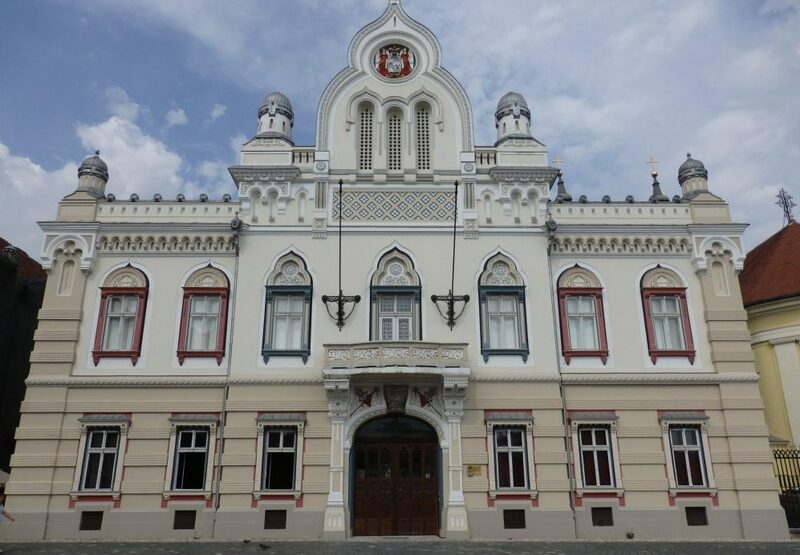 Assuming that Timoşoara’s efforts to restore its gorgeous collection of 17th to 20th century architecture continues, it should be a wonderful city to visit in 2021, when it is the Cultural Capital of Europe. While decay is the norm today, except for prominent buildings in the center of the city, it would be great if it became the exception. Have you been to Timoşoara? What did you think of it? 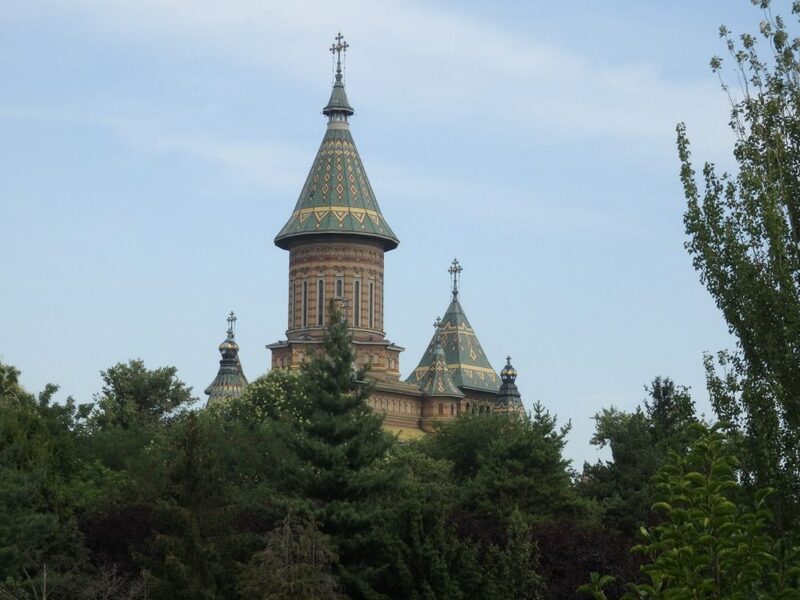 You are broadening my horizons – I’ve never heard of Timişoara and haven’t been to Romania. I love faded glory but I do hope they manage to restore as many buildings as possible before 2021. You should return then to see the difference! Wished you visited Arad (50km to the North) as well. Glad you enjoyed Timisoara, though. We were really just on our way through, but stayed an extra night in Timisoara because it was so interesting. 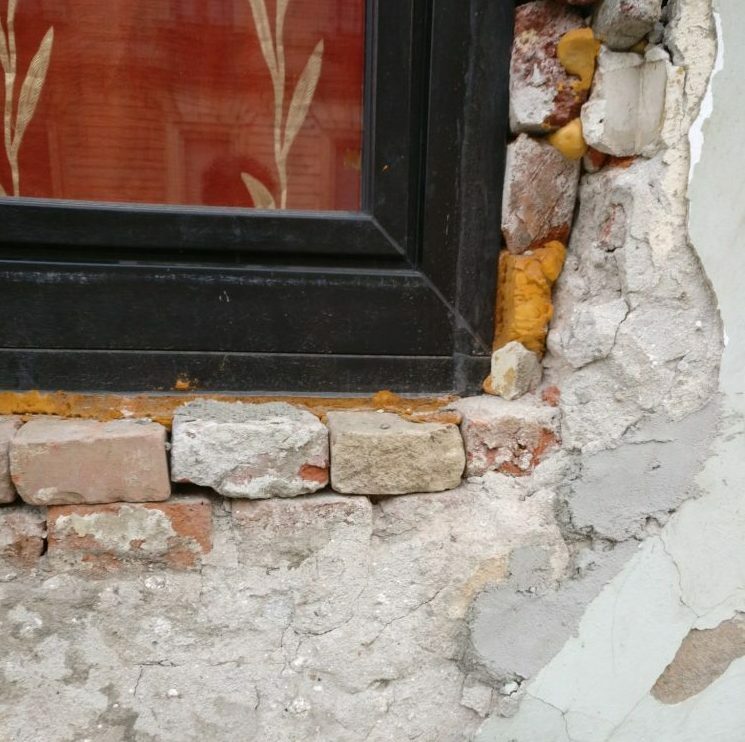 I did see that in other cities, though, like Sighisoara: lots of renovations happening, and road improvements too. this is gorgeous!! i was just talking to a friend about how beautiful romania is!! its on my list! Go for it! It’s a good time to visit before it becomes the trend and gets crowded! Wow! Such a beautiful place and refreshingly devoid of tourists! (Pop up box went away when I clicked the corner X in it). It’s not drawing tourists yet, but I’m sure it will in a few years! 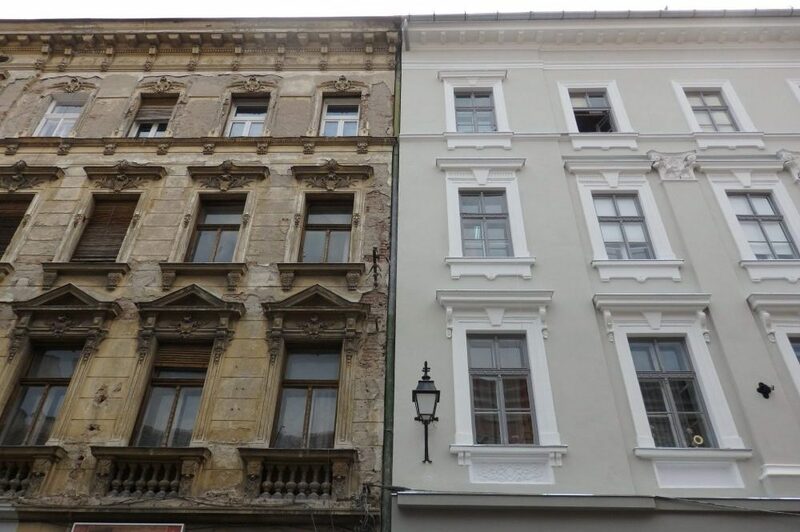 Just beautiful, and when it’s been restored more it’ll be a clear competitor for Prague. I’ve never been to Romania. Your pictures tell an interesting story of a town that needs some tender loving care. Enjoyed the doors. I’ve not yet been to Romania, but this post has me intrigued. Thank you for introducing me to Timoşoara, Rachel. 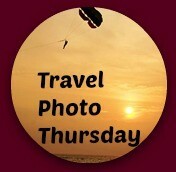 I have more posts to come about Romania! On some streets there were plenty of people around, but not many tourists, and the backdrop, especially on the main pedestrian boulevard, was so decrepit! I’d love to check it out in or after 2021 to see how far they’ve gotten. I’ve never been to Romania either, but it is one of our peripatetic son’s favorite countries to visit. Your photos remind me of Budapest, also a city beset by faded glory. I was in Budapest back in the mid-80s, and don’t remember much detail. I’ll have to check it out again!